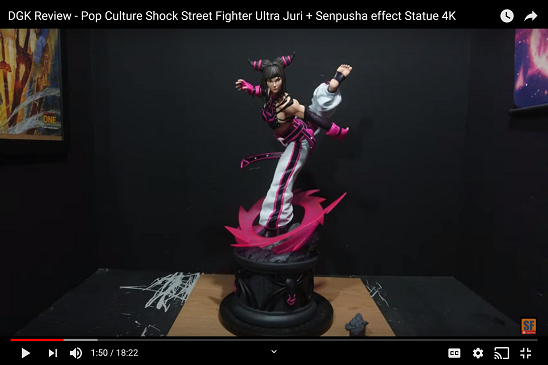 Good chance Storm Collectibles will make their Battle Chun Li in this color in the future. The orange belt really stands out and the blue is a darker metallic look. I've really got to get on point. I had gotten my ship notice from Koto and kept on moving.... got a package yesterday that I assumed was some trail mix I had ordered recently and set it aside. I saw this post and went, "Waitaminit!" and opened up my "trail mix" and lo and behold... CHUN-LI had arrived. Ooops! 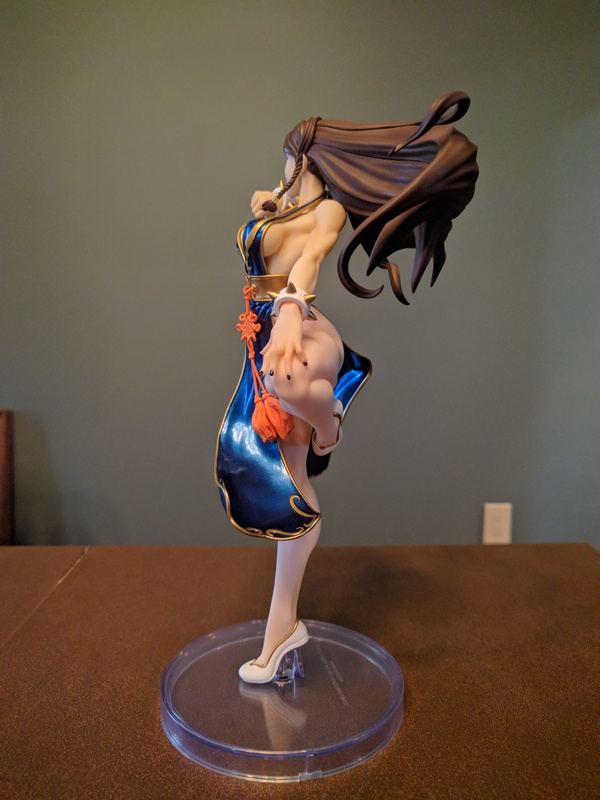 Just opened her up and she is gorgeous! She'll display well with the original battle costumed version. Thanks for the wake up call, Augen. 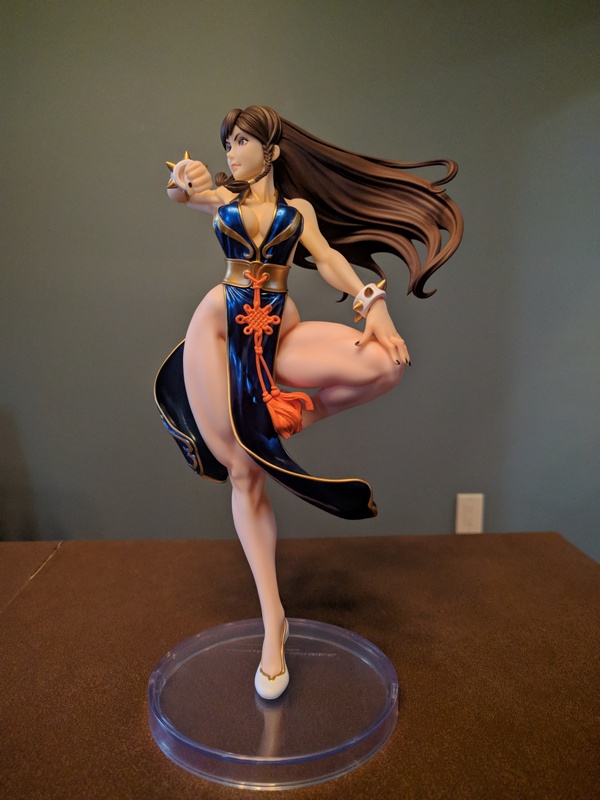 I think they did a great job on her, especially showing off the iconic muscular legs and Chun Li has an impressive back you often don't see. Awesome pics! Thanks for sharing these! Also, I can't wait to see your unboxed pics, too! 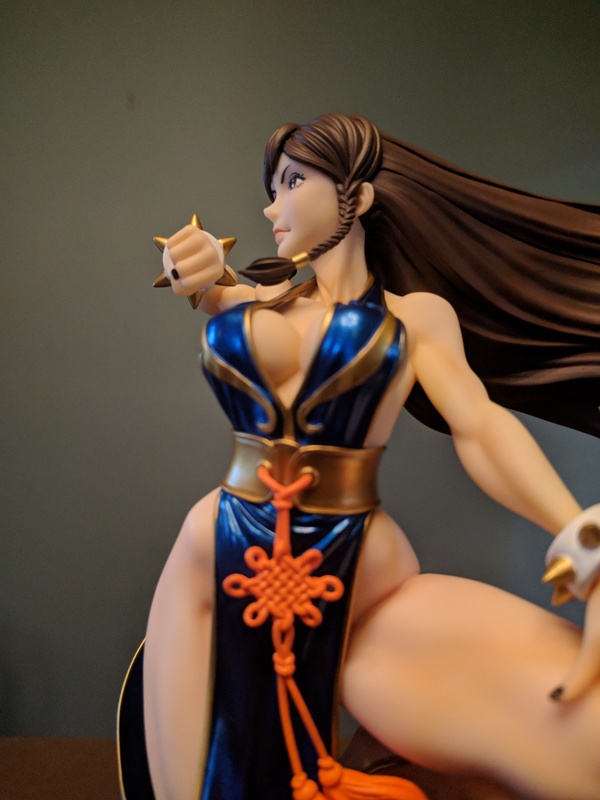 The older Chun Li reportedly has no leaning issues; and she had a far more asymmetrical pose. She is simply stunning.! I love the metallic blue color on her. 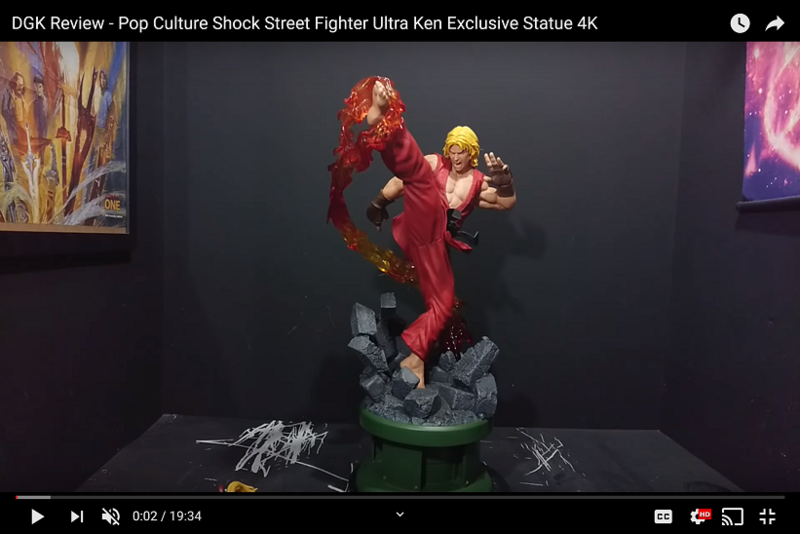 Hopefully Koto will release an Alpha Suit version of Chun-li to complete her Iconic Looks.